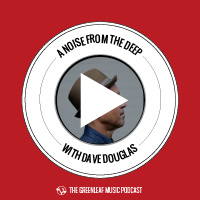 Hosts Dave Douglas and Michael Bates continue the podcast with episode 15 in which they chat with saxophonist composer Greg Osby about generating creative ideas, finding new musicians, and more. Announcing a composition workshop on February 8 & 9, 2014, questions for Drummond, and music. Send us your questions and suggestions at podcast@greenleafmusic.com.